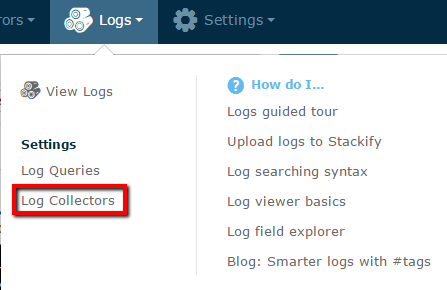 In the Settings Log Collectors, you have the ability to send logs that are found on your server to Stackify so you can view them in the Retrace Logs Dashboard. 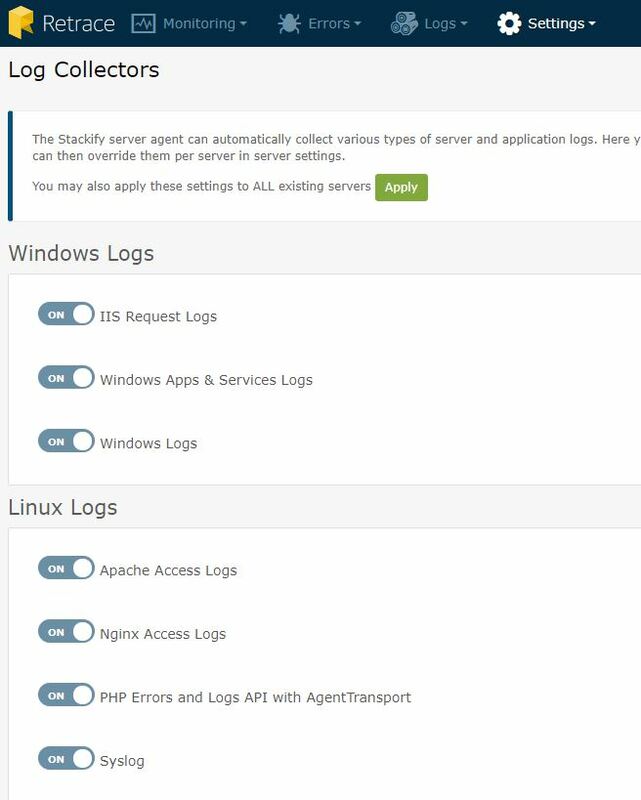 These logs are collected by the agent, so each server will need a running Retrace Agent to be able to send these logs to Stackify. For a Windows Server, these logs include IIS Request Logs and Windows Event Logs. For Linux Servers, these include PHP App Logs, Nginx/Apache Access logs and Syslog. 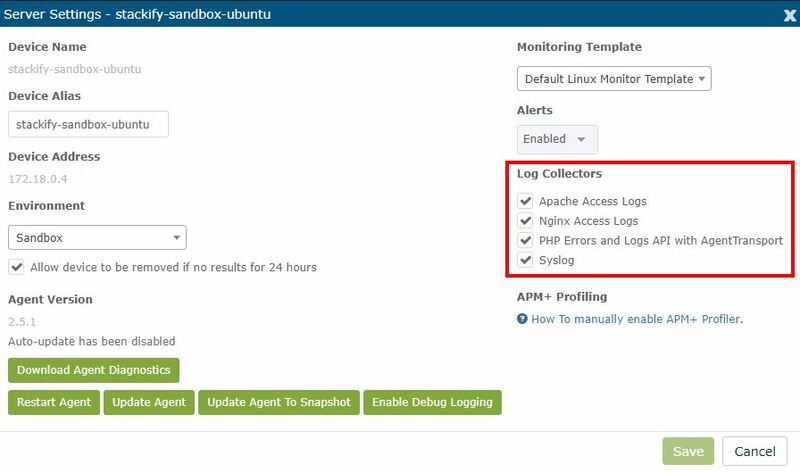 You have the option of configuring the Log Collector settings globally or per Server. The settings you see here are global configurations and will apply to all new servers unless otherwise specified for an individual server in the Server Settings page (shown below). You can apply global settings to all existing servers as well by selecting the "Apply" button shown above. This will override any settings configured at the Server Settings page. To configure the Log Collector settings at the individual server level, go to the Server Settings page for that server. Once properly configured, you will be able to see these log types in the Logs Dashboard.